This project of a modern villa with ultrahigh specifications is being finished on a 2.000m2 corner plot in one of the most exclusive urbanisations of Marbella, in Sierra Blanca. The villa will have a spectacular, cylindrical hallway, which features a glass bridge, a suspended, curved walkway in midair and a helicoidal staircase. 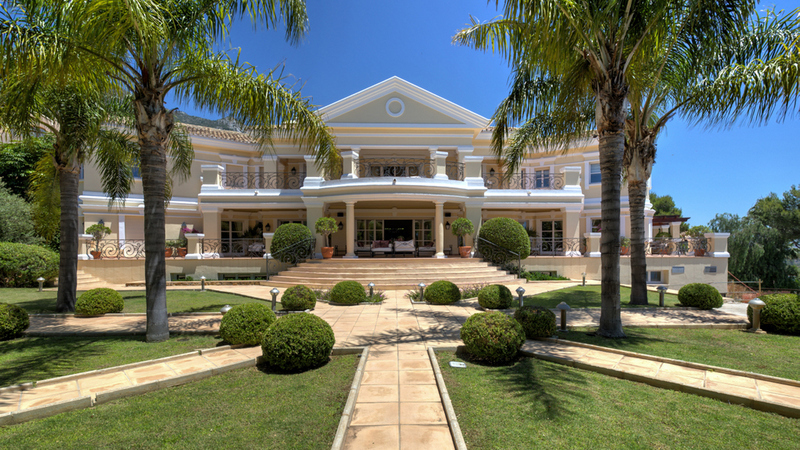 The distribution of the 3 levels is as follows: On the ground floor there is a bright and spacious hall; guest toilet; salon and dining room; fully equipped kitchen; two bedroom-suites and access to large terraces and the manicured garden. On the first floor there are three bedroom-suites, including the huge 140m2 master bedroom, with his and hers walk-in closets and three terraces. On the lower level is a SPA with a heated pool, sauna and Hamam and a garage for 10 cars; cinema room; storage room; wine cellar; laundry room; guest toilet and another bedroom-suite. There is a 223m2 solarium on the top floor. The garden entails a heated, outdoor swimming pool. The qualities include under-floor heating, private lift, wireless intelligent home automation systems (Domotics), indoor lap pool, Spa/Gym, state of the art security and home protection systems, high speed internet access in every room and a garage for 10 cars. 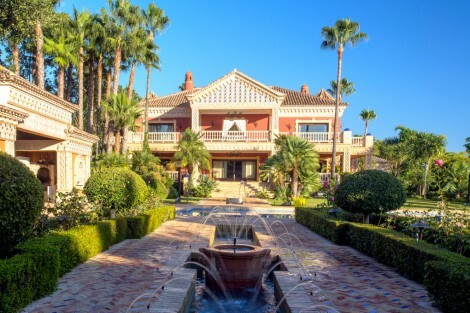 Please, send me more information about ref W-02B1RM, Villa in Sierra Blanca, Marbella Golden Mile or similar properties.